NEW YORK — Laura Lendrum, who served as president of Gucci America for nearly two years, has left the firm. Lendrum resigned to pursue other opportunities. 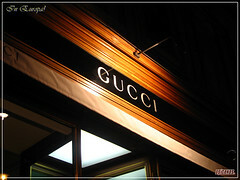 The executive first joined Gucci in 1997, and moved to Yves Saint Laurent America as president in 2001. She was named Gucci America president in 2010, supporting the development of the business here. Gucci president and chief executive officer Patrizio di Marco will oversee the Americas Region in the interim until the company names a successor.